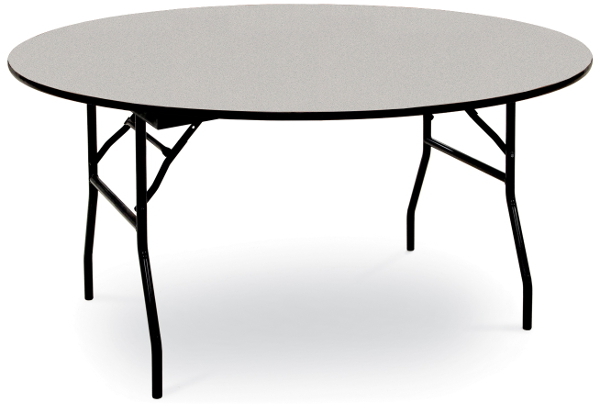 This sturdy commercial grade round banquet table features a laminate top on lightweight 3/4" plywood core. Available in 6 standard wilsonart laminate choices to choose from. All colors feature a black bumper edge & black steel frame. Designed for use in classrooms, banquet halls, event centers & more.